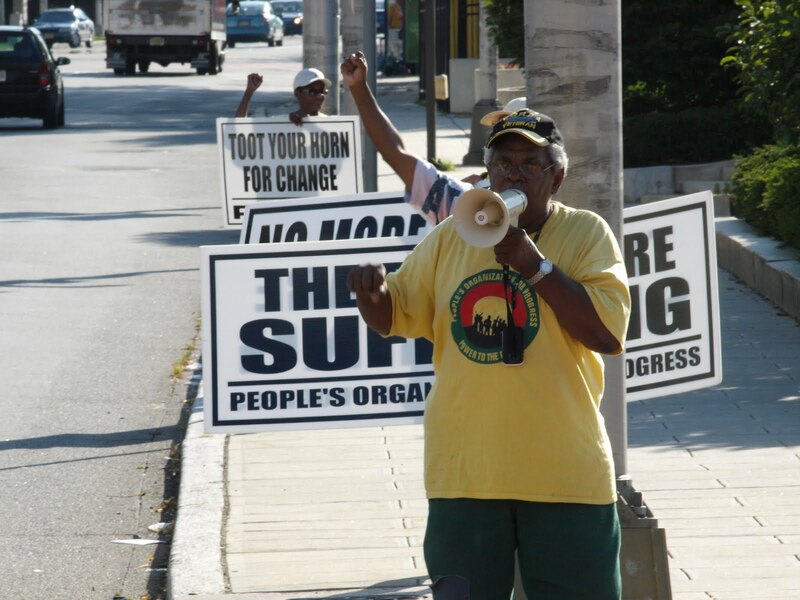 POP members, supporters, and community residents honor the 1967 Newark Rebellion at the site of the monument to 1967 at the intersection of Springfield Ave., Irvine Turner Blvd., & 15th Ave. The People's Organization for Progress has held this annual event for more than 25 years, sometimes at the precinct house where the rebellion initially began and often (since the monument to the citizens who died was first placed on the 30th anniversary in 1997) at the monument itself (to see a slide show of Ingrid Hill's excellent photos from this year's remembrance, please click on this link). On July 12, 1967, Newark erupted in a rebellion against the scourge of police brutality and oppressive racially-biased living conditions. The rebellion prompted a massive police riot and a brutal armed crackdown marked by the National Guard and other police forces occupying the city for several days. It would lead to 39 people, overwhelmingly unarmed Black civilians, getting killed in that dramatic upheaval. The next (and subsequent days this week) the People's Organization for Progress was back at the Lincoln statute in front of the Essex County Court House for our ongoing campaign for Jobs, Peace, Equality & Justice. POP's ability to sustain and carry out multiple campaigns simultaneously is a testament to the organization's maturity, both politically as well as structurally! Thanks to the reader who suggested we track down brother Hamm's speech at CEMOTAP. to view Larry's presentation click on this link. Then go to Drums in the Global Village to see the full speech. This afternoon's broadcast of Gil Noble's "Like it Is" was devoted to a speech by POP chairman Larry Hamm when CEMOTAP honored him recently. 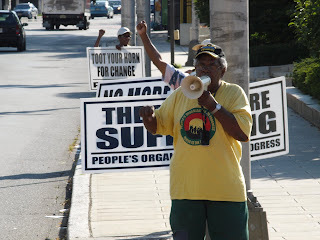 Larry spoke about the events in Newark that he experienced over the past five decades, the Newark Rebellion, the rise and results of the Committee for a Unified Newark, etc., etc. Rah's post about POP is a welcome addition to the info Larry provided and the CEMOTAP speech provided great background to today's "Fire…" Might I suggest you try and get a link to post of today's Like it Is?